GRAND RAPIDS, Michigan — Ronald E. Harrold, 88, of Grand Rapids, Michigan, was called home to be with his Lord and Savior on Wednesday, April 3, 2019. He was born Sept. 23, 1930, in Allen County. Ron graduated from Appalachian Bible College with degrees in Bible and theology. Ron was the pastor of churches in Lester, West Virginia, Wabash, Indiana, and Strasburg, Ohio, and will be remembered for his love of God and family. He was a faithful servant of the Gospel and an example to all who know him. He was preceded in death by his mother, Opal L. (McBride) Harrold; father, Orval E. (Glendora) Harrold; sister, Joann Platt; and a brother-in-law, Don Platt. 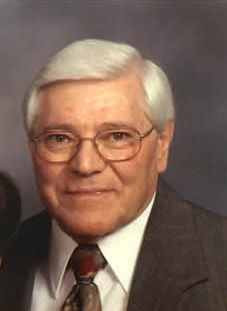 He will be lovingly missed by his wife of 68 years, Eudora B. Harrold; his children, Steve (Sandy) Harrold, Keith (Shelly) Harrold, and Margaret A. Rogers; six grandchildren; eight great-grandchildren; and a brother, Richard Harrold. Funeral services will be at 11 a.m. Monday, April 8, 2019, at Auburn Baptist Church, 1700 Old Brick Road, Auburn, with a luncheon following. Visitation will be Sunday, April 7, 2019, from 2-5 p.m. at Feller and Clark Funeral Home, 1860 Center St., Auburn. Those who wish may make memorial contributions to The Indiana Donor Network or Auburn Baptist Church, 1700 Old Brick Road, Auburn, IN 46706.